‘WALL TO WALL‘, is a multiplatform documentary about Street Art and a town called Benalla. 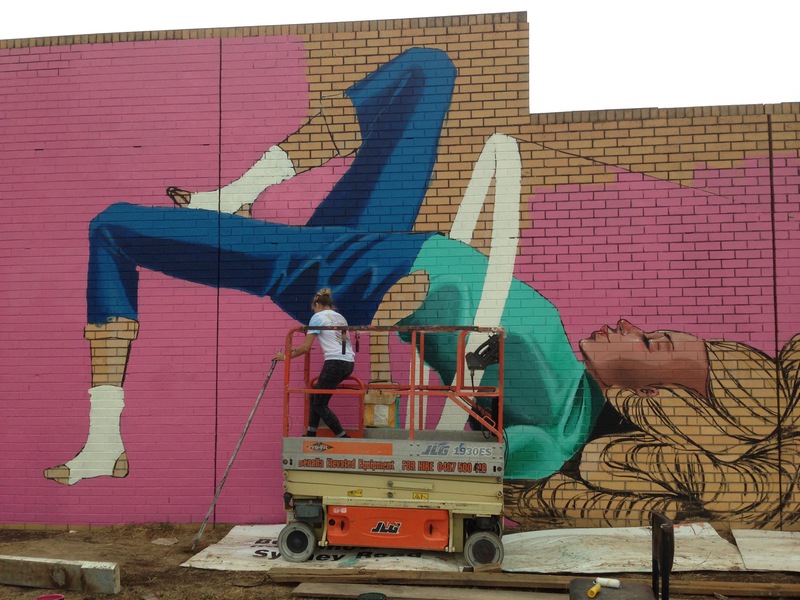 It is being produced as a multiplatform documentary with a crowdsourced timeline which features a map of Benalla and the street art allowing people to interact and leave comments on the wall for the artists. A broadcast version for festivals and TV, and a web series featuring interviews with world re-known street artists. BLIND MAN DRIVING is a feature length documentary and web series, about a visually impaired photographer Andrew Follows who is racing against time to capture as much as he can on his camera before he loses his eyesight completely. Filmmaker Atalanti has spent the last few years following Andrew as he goes about his daily rituals, preparing himself for life after vision.